Emory University has been ranked 21st among the nation’s top universities in the new 2019 Best Colleges guidebook from U.S. News & World Report. Emory was listed as 19th among national universities offering the “best value” to students based on a combination of academic quality and the average level of need-based financial aid. The university was cited for its economic diversity, with 21 percent of its undergraduates receiving need-based Pell Grants, and among schools with the largest percentage of international undergraduates at 16 percent. Emory's Goizueta Business School, which is ranked separately from the university’s main undergraduate program based on a peer survey of deans and senior faculty, was 15th in the undergraduate business rankings. 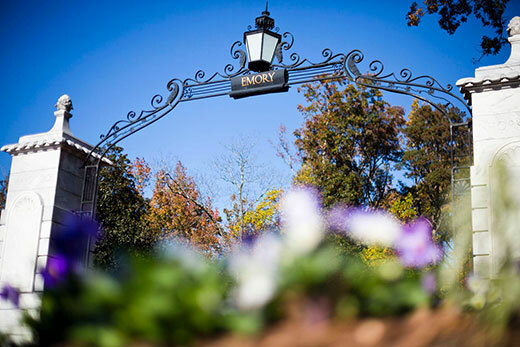 Emory has been cited as one of the world's top research universities (Leiden Ranking), among the best for quality of life and classroom experience (Princeton Review), and as a best value among private universities (Kiplinger's Personal Finance, Princeton Review, Forbes). The new 2019 rankings appear today at www.usnews.com.